Summary: Oil painting showing a young blond haired girl sat at a table covered with a green cloth. A doll is sat is another chair. The girl is playing 'tea' with a miniature tea set. Description: Here a little girl is enjoying a cup of tea in the company of her favourite doll. 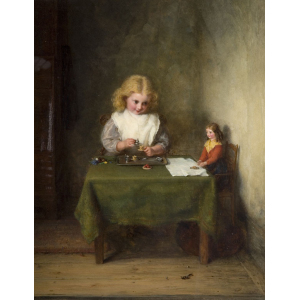 Like most of Cranbrook Colony artists, George Bernard O'Neill paid his tribute to the popular subject matter, painting, in words of a modern art historian, `cheerful well-scrubbed children' as `an antidote to the reality'. 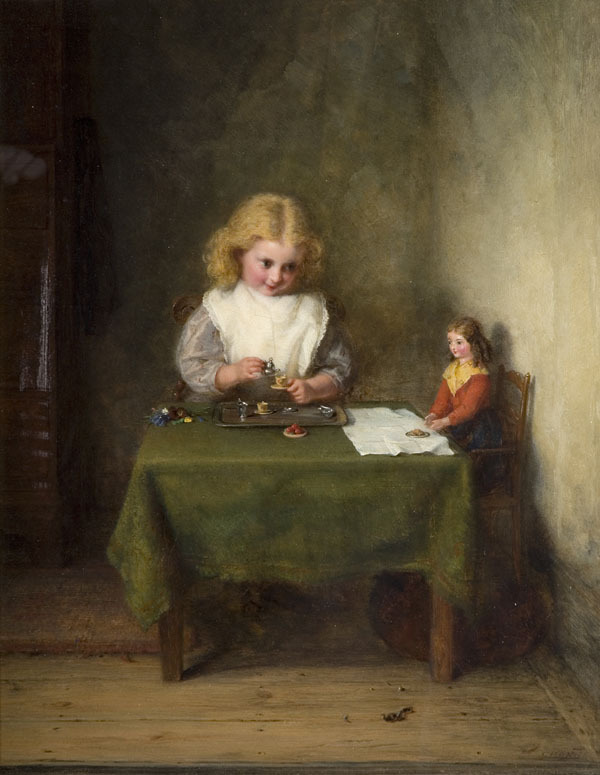 The girl appears in many works by the Colony and is believed to be the artist's daughter.